The holidays are approaching quickly. The spirit of giving is in the air, the magic of snow has dusted the ground and the distant hum of jingle bells can be heard everywhere you go. Friends and family are about to come together to celebrate this joyous time of year surrounded by those they love. You know what they say…it’s the most wonderful time of the year! But wait! Have you thought about your furnace? Chances are probably not. You have likely been preoccupied by shopping and decorating and with your house at a warm, cozy temperature your furnace has become a victim of the “out of sight, out of mind” mentality. Unfortunately, your furnace can break at any time, which why it is important to ensure you have completed any necessary maintenance before Grandma comes for a holiday visit. It is recommended that you service your furnace annually to ensure that it is in tip-top shape for the cold months. Furnace maintenance can provide many benefits that will save you the embarrassment of dealing with cold guests this holiday season. Furnace maintenance ensures that you and your family will be kept safe this holiday season. Fuel burning furnaces can cause safety issues, such as gas leaks that can be very dangerous if left unnoticed. A qualified HVAC technician will be able to go over your furnace to ensure that it is operating properly and not posing any safety hazards to those you love. The last thing you want to deal with is a furnace breakdown on one of the coldest days of the year, or while you have a house full of people. Having your furnace serviced annually reduces the likelihood of repairs as technicians will be able to notice any problems early on and fix them before they become problematic. Furnace technicians are busy people in the cold months when many homeowners require furnace repairs. 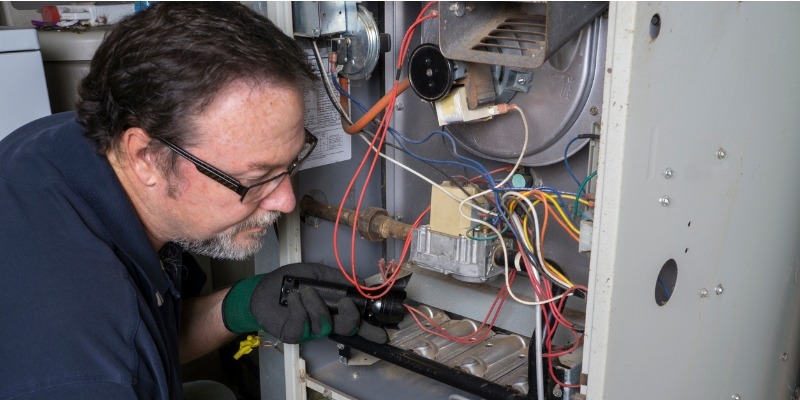 Scheduling furnace maintenance early on means that you can experience peace of mind knowing that a professional has looked over your furnace without having to wait for someone to be available as a result of a last-minute problem. Furnace maintenance improves the energy efficiency of your furnace. Your technician will clean and inspect the furnace to make sure the burner and heat exchanger are working as well as they should be. This means that your furnace will run more efficiently throughout the winter and you’ll save on your monthly utility bills. The holidays really are just around the corner. Your to-do list is growing and the appointment slots with furnace technicians are shrinking. This is your last chance for furnace maintenance before your family visits over the holidays. Make sure you prioritize your furnace maintenance because the last thing you want is to be surrounded by the warmth of your family while sitting in the freezing cold. The team at Appleby Systems still has appointments available, so contact us if you are interested in scheduling a visit for furnace maintenance before the holidays.